An Israeli mayor has imposed a partial ban on employing Arab workers in his city in a sign of mounting security concerns after a surge in deadly Palestinian attacks. 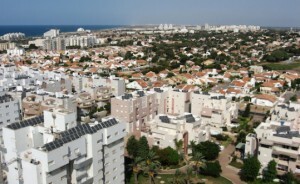 Ashkelon Mayor Itamar Shimoni announced on Facebook that he was stopping “until further notice” the work of Arab laborers building bomb shelters in nursery schools in the city of 113,000, which is close to the Gaza Strip. He also said guards would be posted at about 40 pre-schools near construction sites where Arabs work. Many Israeli building workers come from the country’s Arab community, which makes up some 20 percent of the population, and Shimoni’s edict drew criticism from senior government officials, including Prime Minister Benjamin Netanyahu. The prime minister said in a statement there was “no place in Israel for discrimination against its Arab citizens” and an entire community must not be blamed for the actions of “a small and violent minority”. Justice Minister Tzipi Livni said she had asked the attorney-general to examine the mayor’s move, which came two days after two Palestinians killed four rabbis and a policeman in an attack on a Jerusalem synagogue. Shimoni brushed off the threat of legal action. Tuesday’s deadly attack stunned Israelis and followed several incidents in recent weeks in Jerusalem and Tel Aviv in which Palestinians killed five people. On Thursday, Public Security Minister Yitzhak Aharonovitch ordered that gun control rules be loosened so that private guards could carry weapons off-duty. More gun permits will be issued to retired military and security officers. Palestinians have been waging stone-throwing protests in Jerusalem since July, when a Palestinian youth was burned to death by Israelis in alleged revenge for the killing of three Jewish teens by militants in the occupied West Bank. Visits by far-right Israelis to Jerusalem’s most sacred compound – where al-Aqsa mosque now stands and Biblical Jewish Temples once stood – have also raised Muslim fears that Israel will lift its decades-old ban on Jewish worship at the site. Israel says it has no such plans.